Hello stamping friends! So glad you 're here!!! here at the Card Concept! 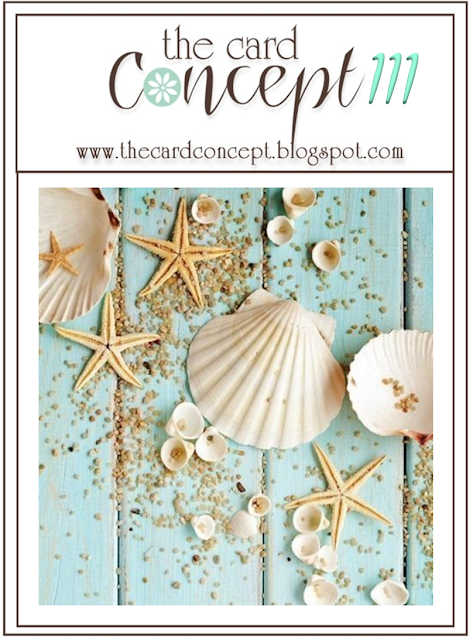 That cool blue and those pretty seashells! I was so inspired by that beautiful blue background. I started with my background panel. I took a 4 1/4 X 5 1/2 piece of Fine Linen (PTI) card stock and scored it on my scoreboard at 1/2 inch intervals. Next I sponged Broken China Distress Oxide ink (lightly) over the entire piece. Then I sponged the lines and edges with Antique Linen Distress Oxide ink. I wanted it to look like a piece of wood. 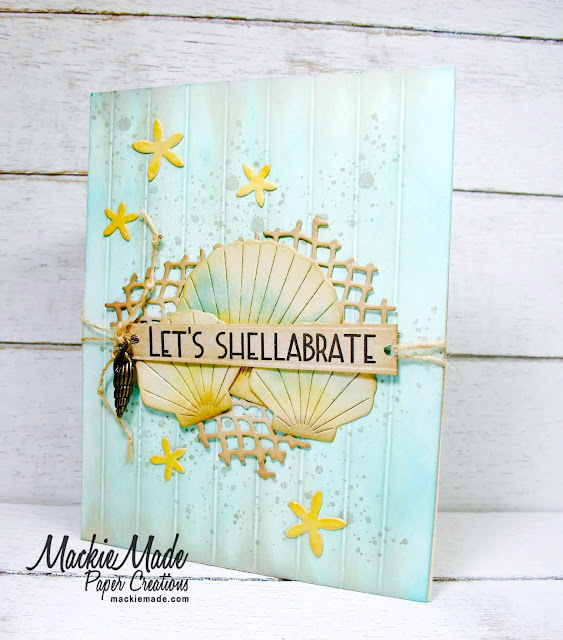 The shells and starfish (Stamps of Life-shells2stamp) were also die cut with Fine Linen (PTI) card stock. I sponged them with Antique Linen and Walnut Stain Oxide Distress inks, and just a little Broken China here and there. I added a charm and some linen thread to the sentiment for some texture. 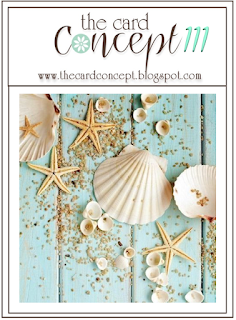 I love sea themed creations and your card is right up there at the top of my list of beautiful cards! 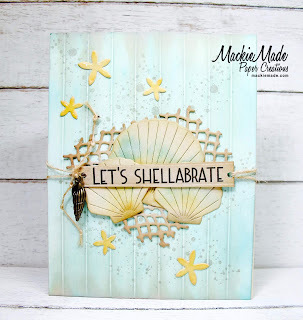 I love the background you created for your shell collage! Everything goes together perfectly! Oh gosh, this is so PRETTY! I adore the soft colors Mackie. What a fabulous card! Paper Sweeties March 2019 Rewind Party! Paper Sweeties March 2019 RELEASE Party! 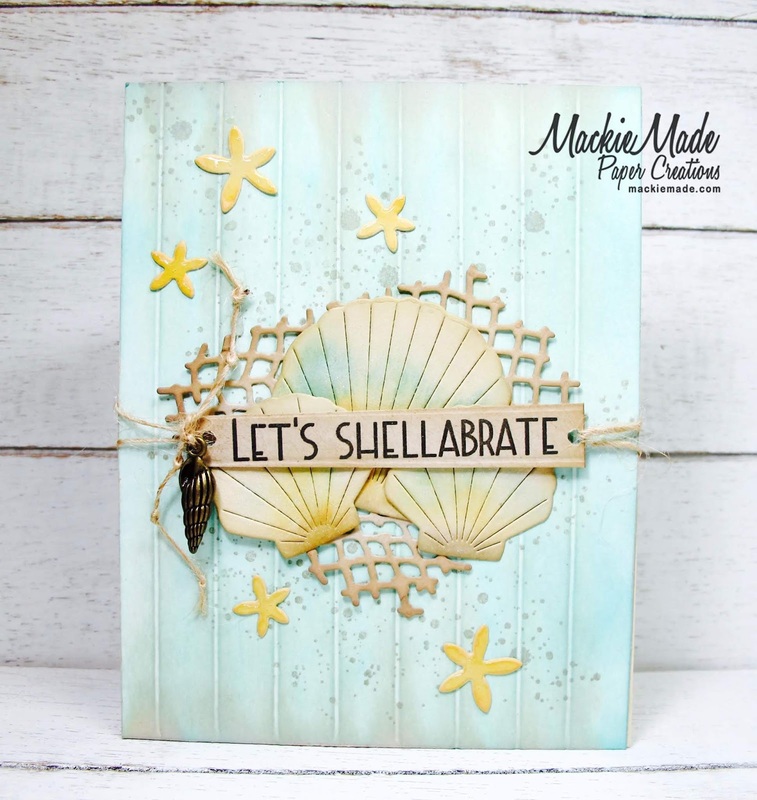 Paper Sweeties March 2019 Sneak Peeks! The Card Concept #119-Shamrock Blessings!